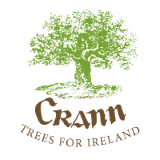 Crann Publications include a set of 3 Countryside Companion Leaflets. These wonderful information leaflets by Anja Murray and beautifully illustrated by Natalie Price and Alicia Falvey, are available to order from Crann. Send your order and payment of €1 per set of 3 (including P&P) cheque/postal order (payable to Crann), P.O. Box 860, Celbridge, Co. Kildare and we shall post your order to you. They are a must for adults and children alike who want to explore and discover the secrets of nature on a woodland walk!